Floods of Delaware County will be the topic of the next community program presented by the Delaware County Historical Society at 7 p.m. on Wednesday, July 11, at the Barn at Stratford, 2690 Stratford Road, Delaware. Brent Carson, president emeritus of the DCHS, will recall floods which occurred in Delaware County in 1898, 1913, 1937 and 1959, and he will share stories and photographs which illustrate the impact of these floods. The audience will be asked to participate by sharing personal memories or stories. In addition, Vanessa Bishop, natural resource specialist with the U.S. Army Corps of Engineers, will discuss flood control management at the Delaware Dam and the near disaster caused by heavy rains in January 2005. The program is sponsored by Fidelity Federal Savings and Loan Association. The program is free and open to the public, however, there will be an opportunity to make a donation, which will help defray the operating expenses of the DCHS. To ensure adequate seating, registration is strongly suggested. To register, visit Eventbrite.com “Floods of Delaware County Program,” email Programs@DelawareOhioHistory.org or call 740-369-3831, extension 3. 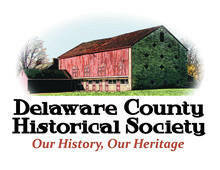 The Delaware County Historical Society is a nonprofit organization whose mission is to promote, preserve, and sustain interest in the history of Delaware County. The Barn at Stratford is operated by DCHS as an event venue for weddings, corporate meetings and other special occasions. To learn more, visit the venue and society web sites at barnatstratford.org and delawareohiohistory.org.